Who doesn’t love a good pasta right? I’m a total pasta and general noodle lover. Actually, one of those people that order Spaghetti and Meatballs but only to eat all the noodles and leaving all the meatballs behind. However, where possible, we select healthier options such as whole wheat noodles. 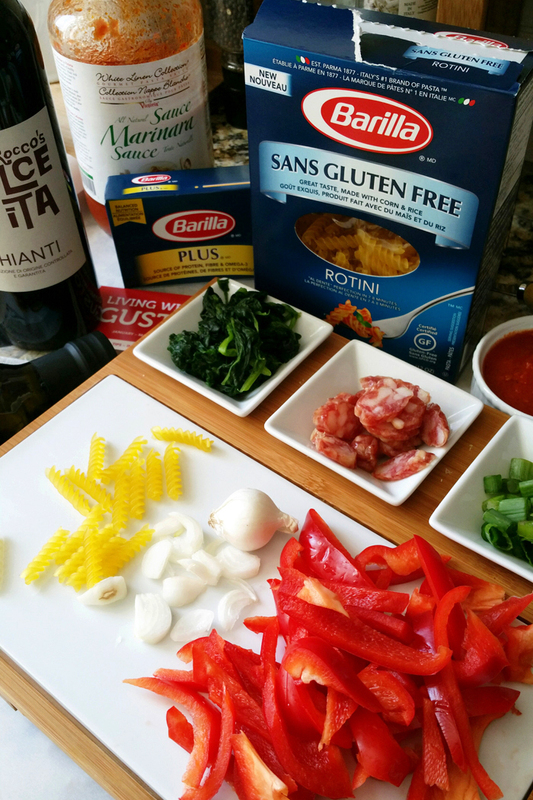 On my rainy day off, I decided to cook up a simple pasta dish with Barilla’s newest line of pasta products – Barilla PLUS. 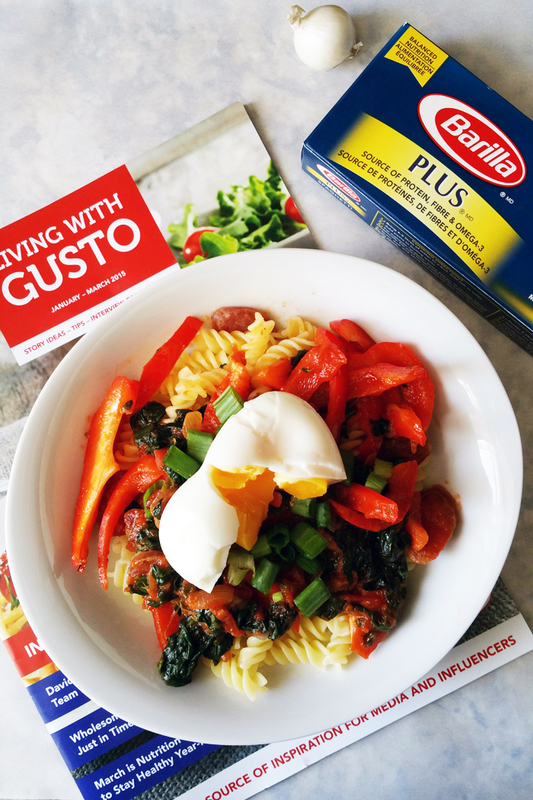 Barilla PLUS delivers 27% more protein than Barilla’s traditional semolina pasta. The high source of protein comes from ingredients such as chickpeas, lentils and egg whites. In addition, Barilla PLUS is also a good source for fibre and Omega-3 polyunsaturated fatty acids. 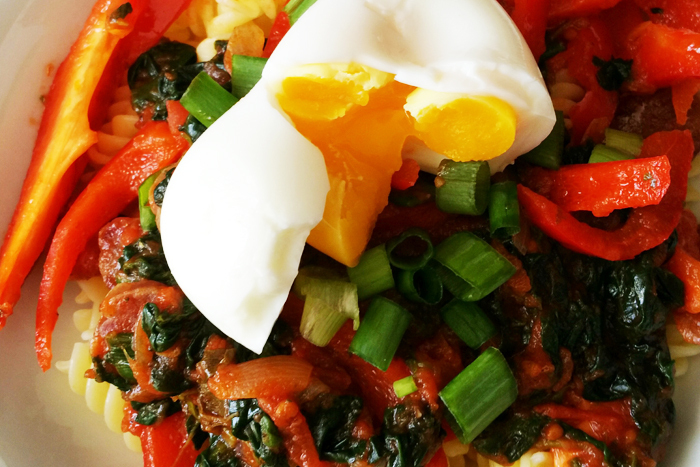 My simple recipe included spinach, red peppers, asian sausages (totally optional but I had some leftover from another dish), green onions, onions, marinara sauce, and a soft boiled egg to top it off! 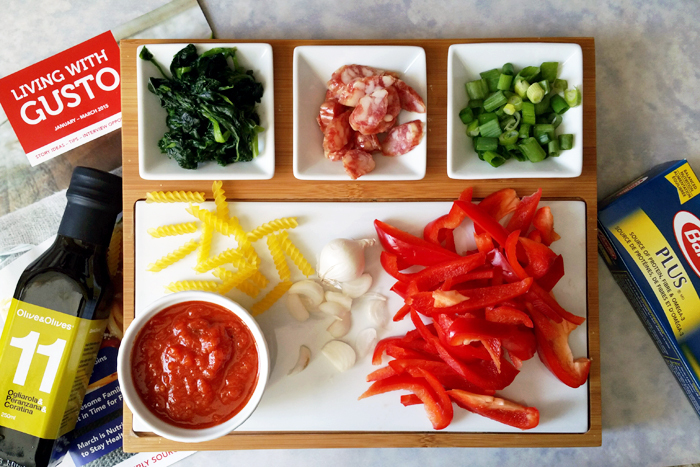 My pasta dishes generally include whatever I can drum up from my fridge! Be sure to visit the Barilla website for more inspiration on pasta recipes! If you’re looking for more options, Barilla has also released a new range of Gluten Free pasta that has great taste and texture. Ingredients are 100% wheat free and produced in a dedicated Gluten Free facility. What’s your favourite pasta recipe? Care to share? Wow, that is a beautiful dish of pasta. I like the idea of a soft egg on top. This looks delicious!!! I like the addition of the egg, I don’t think I would have ever thought of that. I just stumbled across your blog and I love it, and your photos are gorgeous! !